MLGT Alum Brooks Koepka wins the The CJ Cup to rise to #1 in the world! 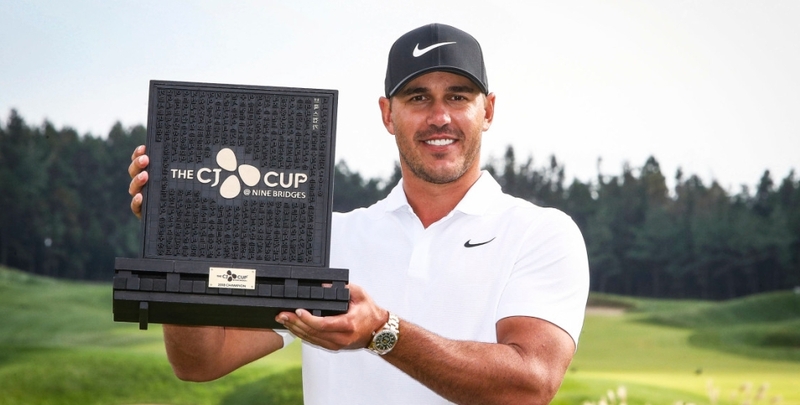 2012 Minor League Golf Tour Champion Brooks Koepka wins the CJ Cup @ Nine Bridges on the PGA Tour in dramatic fashion by shooting 7-under par 29 on the back nine on Sunday. Along with his 5th PGA victory came the title of #1 player in the world! Brooks didn't take the conventional route to playing on the PGA Tour and becoming a five time PGA Tour winner, three time Major champion, two time Ryder Cup participant and #1 player in the world. Right out of college Brooks went over to Europe to compete on the Challenge Tour. Brooks won 4 Challenge Tour events in less than 2 years between the summer of 2012 and the end of 2013. By winning 3 Challenge Tour events in 2013, he earned his European Tour card for 2014. He wasted no time and won the Turkish Airlines Open propelling him onto the world stage. He then finished 4th in the 2014 US Open which earned him a PGA Tour card for the 2014-15 season. He then won the Waste Management Phoenix Open in 2015 which helped qualify him for the 2016 Ryder Cup team. While Brooks was home from traveling and playing on the Challenge Tour in 2012, he won the Minor League Golf Tour Championship in December 2012. In fact, he played 8 events on the MLGT and won 4 of them! The Minor League Golf Tour is proud of all your success Brooks. Keep it up! Pictured above are Brook's 3 Major Championships (2017 and 2018 US Open and 2018 PGA Championship).